Pond plants are a great way to improve the appearance of a garden pond, as well as providing a range of benefits to its natural eco-system. Some of these benefits include natural algae removal, water filtration, water oxygenation, and predator control. Since most pond plants are usually very cost-effective and easy to maintain, they make great additions to all types of garden ponds. Selecting the correct pond plants will depend on your individual goals and what you want from the plants themselves. If you’re looking to combat algae and provide cover to your fish, certain plants will be more suitable than others. If you’re just looking to add some color to your pond, the choice is mostly down to personal preference. Most plants work very well together, so you can also mix and match different types for maximum benefits and aesthetic – the choice is up to you! If you still can’t decide, we’ve included some general information in this article in regards to pond plants and made some recommendations on some of our favorites so the choice is a little easier. Submerged plants produce large amounts of oxygen during the day, with the oxygen being directly passed into your pond water. These types of plants also provide great cover for fish, as most grow thick but remain very soft to touch. Most submerged plants grow solely below the water surface and are able root into the bottom of the pond naturally. Alternatively, these plants will also benefit from being planted into water baskets if you’d prefer some control over their growth. Basket planting allows them to spread more evenly, but they can become brittle in summer if any of the plant is exposed to the surface air, so make sure they’re planted fairly deep. 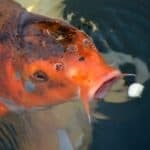 These are some of the best pond plants for oxygenating water and providing natural water filtration, as well as being very easy to take care of. Hornwort is one of our favourite submerged pond plants and oxygenators due to how easy it is to maintain. The plant doesn’t root or need planting in a basket, and simply grows loose near the bottom of the pond where it slowly spreads. Hornwort is a strong oxygenator and works well with other submerged plants. It provides good cover for fish, and will compete with algae for nutrients, helping reduce numbers. This plant is great for beginners and ideal for smaller ponds as it doesn’t become invasive or require frequent trimming back. Similar to hornwort and still very easy to care for. Anacharis is softer than hornwort and grows slightly better in colder outdoor conditions. It blooms with a small white flower in late spring, and can be planted free floating or in a water basket submersed in water. Both types of plants at great oxygenators and provide very good cover for pond fish, although koi tend to eat Anacharis more readily than Hornwort, so this needs to be taken into account. An ideal plant for both small or large ponds, but it will need to be trimmed back to ensure it doesn’t take over a small pond in summer months. It is a fast grower and will spread very quickly if excess nutrients are available. Floating plants sit on the waters surface and move with the flow of your pond. Unlike other plants they do not require anchorage in soil, so don’t need to be planted in baskets. Floating plants are a great way to reduce the amount of sunlight penetrating a pond, which helps cool the water and reduce algae growth. It’s recommended to always leave at least 50% of your pond open to the air for gas exchange to take place, so you will have to thin the number of floating plants if numbers get too large. Since these kind of plants don’t need to be planted, they make very good choices for beginners looking to control algae and cool their ponds during summer. They won’t be able to survive cold winters, however, so most floating plants below should be brought indoors in a heated green house or conservatory to ensure survival into Spring. A very popular small floating plant with a big personality! Water lettuce grows in uniform green rosettes on the pond surface and provides very good cover from sunlight and predators. The plant is free-swimming and does not need to be planted, so is a good choice for low maintenance ponds. Water lettuce grows very fast, so is also a good choice for algae control as it quickly absorbs nutrients which algae need to grow. At the height of summer the plant will be a very vibrant green color and adds a great natural aesthetic to pond water. The plant is an annual plant and cannot survive cold winters so needs to be brought in to ensure it’s survival into Spring. This also means the plant cannot be invasive as any left behind over winter will simply die off. A stunning floating plant which produces beautiful colored flowers in a range of different throat patterns. Water hyacinths are another popular floating plant choice, which grow to form swollen air filled stems and bright green leaves. Just like water lettuce, this plant doesn’t need to be planted in a water basket and can grow happily free-floating on the pond surface. The plant grows fairly fast so is a good choice for algae control, and its leaves produce a good amount of coverage from UV light and predators. Water hyacinths cannot survive cold winters so should to be brought indoors where there is plenty of sunlight and warmth to survive. If planted in smaller ponds they need to be regularly trimmed back as they can quickly take over a small amount of pond water if conditions are right. Another choice of floating plant that can also be potted in soil for faster blooming is the lovely white snowflake. This floating marginal plant creates vibrant green pads as well as white fringed flowers. The green pads give the impression of miniature water lilies, and the plants fast growth helps reduce sunlight and algae growth. The plant enjoys intense sunlight and grows best around margins or around water 12″ deep if floating, but can be planted deeper with a waster basket and soil. White snowflakes can grow very fast, so small pond owners should be cautious and trim back overgrowth before it becomes overcrowded. These type of plants are ornamental in flower and foliage and grow above the water surface. They’re a great choice for the harsh edges of a pond, breaking up the outline to give the pond a natural aesthetic. They also offer great shade to the edges of water, helping to reduce some sunlight and cool down the pond. Algae tend to be a major nuisance in warmer, shallow pond areas, so marginal plants are a good choice to deal with this problem. Contrary to popular belief, most marginal plants prefer to be planted submersed in only a few centimeters of water. The best way to plant them is on a shallow shelf in a 10-20cm water basket with adequate substrate. The plant does not need to be submersed in more than a few centimeters of water, and planting deeper may cause problems with growth. If your shelves are not shallow enough, you can add gravel to a water basket to secure it down and add your planted basket directly on top. A very popular choice of marginal bog plant which hoverflies, bees, and butterflies love in late summer when it flowers! Marsh marigold is a wet mud marginal plant that should be planted in a water basket with soil in a sunny or partially shaded area of pond margin. It can grow with up to 10cm (4″) of water on top of it, but would do best with only a few centimetres. A very pretty plant for pond shelves and margins, its flowers provide great color and its leaves help shade pond areas from sunlight and reduce algae growth. If the plant is in direct sunlight it usually flowers in summer, and you may be lucky to see a second flowing later in the season if conditions are right. A great choice of plant for color and if you want bees and butterflies around your pond! A marginal deep water plant that forms pale blue flower spikes in August and September. Pickerel Blue is a good choice for deeper ponds, as it requires around 15-30cm (6″-10″) of water on top of its planted water basket in a sunny or partially shaded spot. It needs to be planted deeper than other marginal plants to protect its crowns over winter, although it can be planted in shallow water if you’re able to bring the plant in during colder weather. The leaves are delicate heart-shaped and provide good cover from sunlight and help with algae control in summer. The flowers have a very pleasant sent and will attract bees and butterflies when the season is right. This is considered a rather low maintenance marginal plant, and works well in most types of ponds along the banks and edges. It needs to be planted in a water basket with adequate spoil. A hardy marginal plant with variegated (irregular) red, green, and yellow leaves with a distinct sent of orange peels when crushed. This plant produces small white flowers through June to August which attract bees, hoverflies, and butterflies. It is advised to always plant in a water basket and to trim roots around the container to limit the area in which is can spread, as it likes to grow fast! The plant is a good choice for adding multiple colors to pond margins, and works well to provide shade and cover from sunlight and predators. The plant uses plenty of nutirents during growth, so is a great choice for limiting algae around the edges of a pond. A classic hardy marginal pond plant that flowers with cattails and forms a tall variegated stalk. Cattail is a common plant around lakes, but it also works great for larger ponds. Due to its height, it is able to provide a large amount of cover to pond water at certain times of day, helping cool a pond and reduce algae growth. The plant is very hardy and will lay dormant in winter and begin growing again in Spring. Unlike some other cattail plants, this particular species has been bred to provide accented cream-coloured stripes, making it more visually striking. A very nice choice of plant for a pond backdrop or as a striking border along the margins. It should be planted in 3cm-15cm (1″-6″) of depth in a water basket with soil for best growing results. One of the most recognizable pond plants is the water lily. These plants require clam, still water to grow successfully, away from a ponds waterfalls, fountains, or pumps. They’re best planted in water baskets during late Spring or Sumer in a open area of pond with plenty of sun. Unlike marginal plants, water lilies require a good amount of depth for healthy growth. Different species will prefer different depths, so you will need to make sure your pond is deep enough to grow the particularly type of lily you choose. Typically a depth of around 15-30cm is ideal when the lily is young, and bricks or gravel can be used to raise a pond section to the correct depth if the area is too deep. As the lily grows it can be moved deeper into your pond until it reaches the bottom or desired depth. Just like floating plants, water lilies are great choices to help cool down a pond and control algae growth by removing sunlight and nutrients – they also look fantastic! At the heart of every healthy pond is a naturally occurring process called the Nitrogen cycle. This involves the breakdown of harmful organic substances into their consistent inorganic compounds, providing natural pond filtration. The process involves beneficial bacteria converting ammonia to nitrites, and then nitrites into nitrates. Nitrates are then absorbed by pond plants (including algae) and used during growth, along with Co2 and sunlight. The more pond plants you have, the more nitrates can be removed, and the more oxygen will be produced as a by-product. Having pond plants with fish is especially helpful, as fish waste greatly increases ammonia and sludge, which in turn can reduce oxygen levels as bacteria use this during the decomposition process. Plants not only help with the natural absorption of excess nutrients, but also provide a constant supply of dissolved oxygen to pond fish and beneficial bacteria. As mentioned above, pond plants are great natural oxygenators and can help give fish ponds a healthy boost. Submerged pond plants are much better at oxygenating water compared to other types, as the oxygen they produce during photosynthesis is directly dissolved into the surroundings. Also, in warmer months where oxygen content is naturally lower, pond plants are at their height of oxygen production, creating a more stable environment for fish. Another key benefit of growing pond plants is the long-term control of pond algae. Algae grow via the same process as most plants, and also require the same base nutrients. Pond plants will be directly competing with algae for growth, absorbing vital nutrients it requires to grow and spread. Floating plants and submerged plants will also compete with free-swimming and string algae for sunlight, and eventually they will begin to block enough light to halt algae from growing altogether. Even though plants are a great way to control algae, they will not be able to remove an algae bloom already present. They’re also a long-term method of control, and you will only start seeing results as your plants grow and become properly established. To ensure the best growth for your plants, as much algae as possible should be first removed so there is less competition for nutrients and sunlight. For a full guide on removing algae, check our article here. Pond plants also provide great cover for fish against predators, such as herons and cats. Thick submerged pond plants and large floating plants will be able to give your fish plenty of cover and places to hide if needed. Even for a determined predator, having a large amount of plants makes fishing very difficult, as they rely heavily on sight to make the catch. This is especially true during spring where plants are growing rapidly, as predators will be aggressively hunting for food for their young. Having a healthy water garden of plants will provide extra protection during spring and summer where predators are hunting on double shifts. Most plants with thick foliage will be able to provide good cover, but we feel the best pond plant picks would be submersed plants, floating, and water lilies. Most common aquatic plants will provide the above mentioned benefits, so choosing the best pond plants is a little tough. In general, submerged pond plants are better oxygenators than other plants, as oxygen released during photosynthesis is immediately dissolved in the water. Fast growers are great for algae control as they compete aggressively for nutrients, and floating plants are good choices for hiding fish from predators. However, you also need to consider the size of your pond, water depth, and number of shelves accessible to new plants. The biggest problem with adding marginal plants is with ponds with no shelves or with shelves far too deep for pond growth. The majority of marginal plants prefer to be covered by no more than a few centimetres of water; so planting at 5cm depth is far better than 20cm. In regards to water lilies, many people tend to plant them too deep at around 1m+ of depth. Most types of water lilies actually grow better and prefer a depth of half that, around 50cm, so this should be taken into account. Plants added too deeply will struggle to grow and will eventually die, so make sure to take into account the proper planting depth for each type of plant. As well as this, some pond plants are easier to care for than others, and some are much hardier when it comes to seasonal change. Selecting a native plant to your country will ensure the plant can grow in its current environment, but there is no reason not to choose a non-native plant if you like how it looks. For example, a plant from a more tropical climate may just need some extra winter protection (cover) to survive the colder months, but will flourish the same as other plants during spring and summer. Most free-floating and submerged plants won’t require much extra attention and will grow quite happily so long as your pond is in overall good health. Marginal plants and water lilies like to be planted in sturdy water baskets and would benefit from the occasional fertilizer for quality flowering. Submerged plants can also be added to planting baskets to limit growth, and this may be especially helpful in smaller ponds where growth may be particularly rapid, although it is not essential. Planting baskets can be filled with a mix of soil and gravel as a top layer to stop water clouding, although we generally recommend a dedicated pond plant media for best results. The benefit of using a media designed for aquatic plants is there will be little water clouding and helps trap nutrients from fertilizers so they don’t leak into your pond as heavily. We recommend API Pond Aquatic Plant Media or PondCare’s Natural Aquatic Plant Media. What if my pond shelves are too deep? If you want to plant marginal plants but your pond or shelves are too deep you can try to prop up the height with a large planting basket filled with gravel. Marginal plants prefer to be covered by only a few centimetres of water, so planting them too deep can cause major problems with growth. If you’re adding the gravel basket, you can try to add the planted basket with marginal plants directly on top. This may provide the required depth for the plants to grow, and so long as they’re not too deep (15cm+), you should be fine. If your pond has no shelves and is deep, there is little you can do when it comes to adding marginal plants. Re-structuring the pond layout or building a new pond may be the best solution, but this is obviously a last resort. If building a new pond doesn’t sound too appealing, we recommend sticking to floating plants, lilies, and submerged plants for best results in deeper water with no shelves. I found your recommendations very useful. Unfortunately I live in England where the EU has banned many essential pond plants such as Elodea and water hyacinth throughout Europe because it is claimed that they overrun the waterways of hot countries such as Spain and Portugal. This does not happen in England as we’re much colder than these countries and the plants are not a threat. Good article anyway, even if I can’t obtain the plants. Thank you for the comment. Glad you enjoyed the article! Yes, you’re right, EU laws are quite strict on some of these species; especially the submerged growers. I’ll try to update this article in future to add more choices for UK/EU readers which are native to the continent. I’m sure there are some good ones we can include alongside!